My ability to quickly gain knowledge in different subject areas would certainly be diminished without search. Actually, it would be wiped away completely. What would I do? Read books? Numerous search tools and platforms exist to help with ideation and conceptualization, but here, I’m going to focus on just one: Google. This guide will help you unlock the power of search to develop great content ideas. Google processes 3 billion searches every day, Search Engine Land reports, and only a fraction of those are conducted by those who use Google for a living. Use these search tricks to see past the thin, promotional and good old-fashioned spam. Using quotes, AND & OR functions for certain inquiries can be effective for one-off cases or for finding something specific. In terms of finding content inspiration fast, however, these will have little impact. The following operators are the true heavy hitters in your Google toolkit. As you develop ideas in a certain niche, you’ll start to see which sites are earning page one results time after time. You can then use Google to find the best results on a given site for a certain keyword. Concept creation: You’ve been tasked to develop ideas for 4K TVs but just learned HD doesn’t stand for Hot Dog. 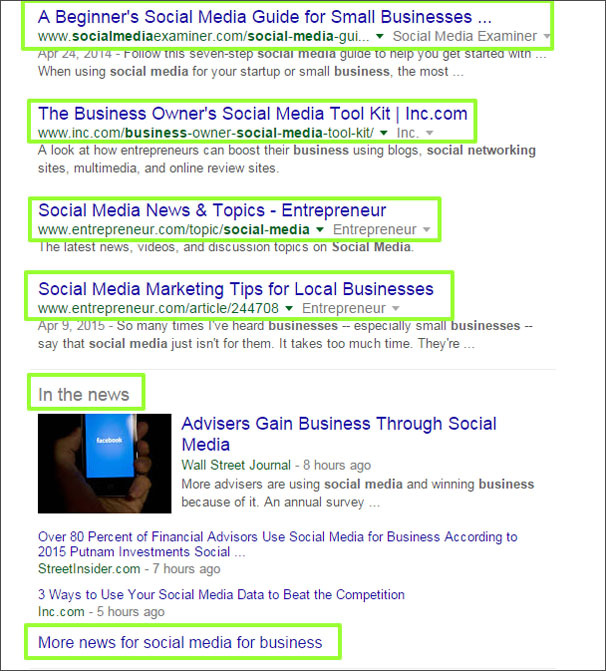 Use targeted searches to identify a few good sites, then let the site search spin off ideas for you. 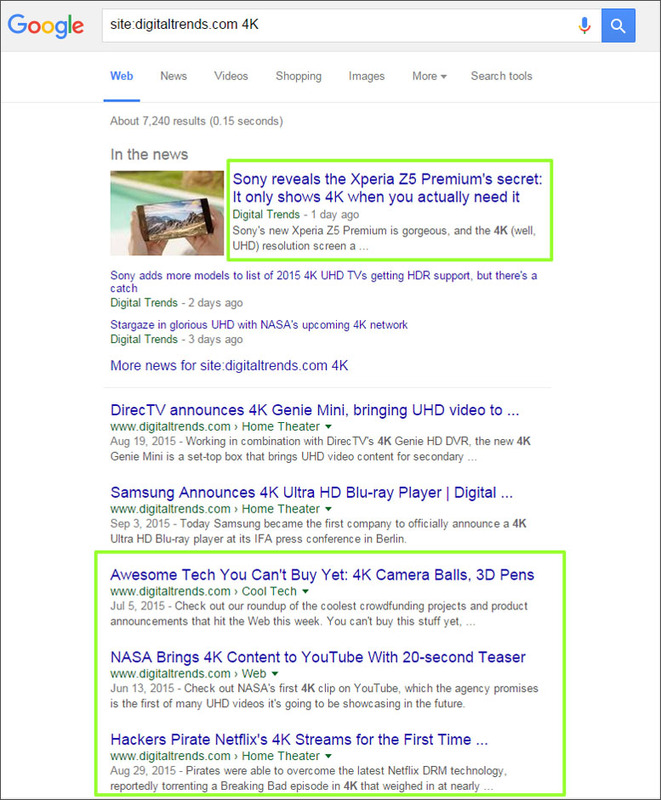 Follow up searches – “4K tech accessories” , NASA 4K , 4K Piracy, etc. Pitching ideas: You’ve developed an idea for a blog contribution and need to see if it has been previously covered. Skip the native search tool on a site – these can be buggy and slow. Instead, do a Google site search and instantly see how many times that keyword or topic has been published on the site and how recently. Inserting an asterisk tells Google, “input words here that make sense” which is helpful for content inspiration. Conversely, the minus sign tells Google to disregard any results with that word. 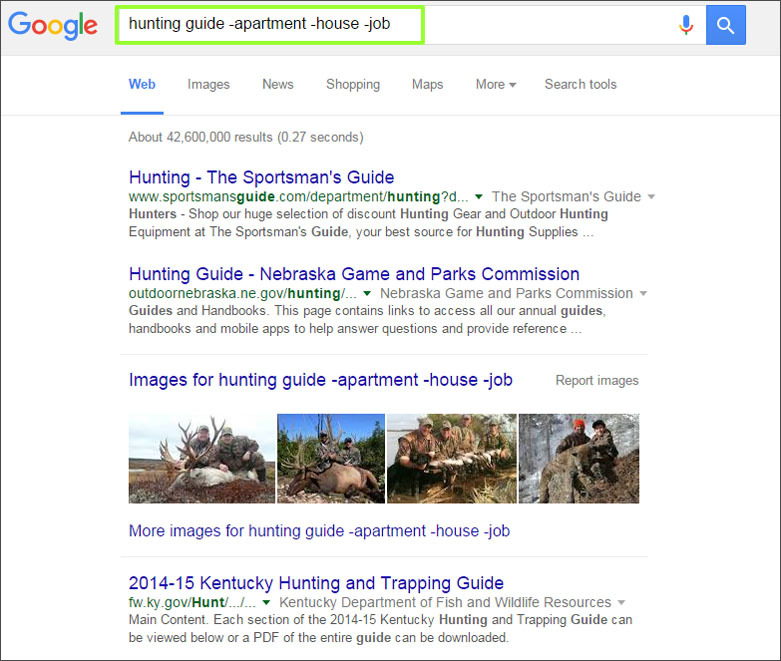 Topics related to apartment, house and job hunting are eliminated, creating a more effective SERP. 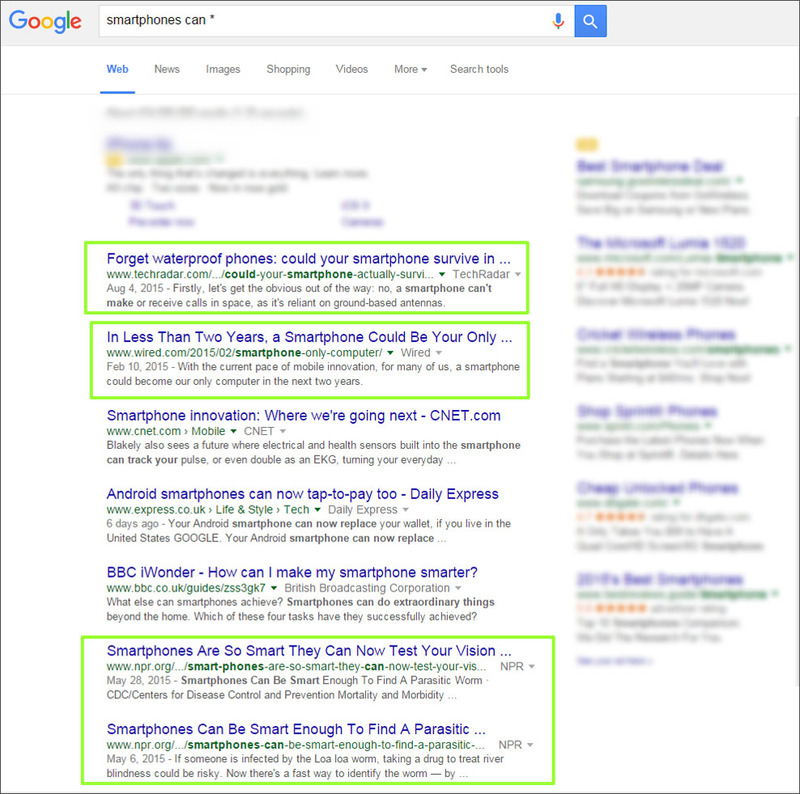 Content strategists see Google results through a certain lens. Millions of search results means it takes some savvy to locate the editorial gold. First: Consider the first page of results your clickable playground. If you don’t see anything you like, alter your search rather than opening up page two. Next: Filter out ads, period. The nature of PPC ads is to generate clicks and convert — this just doesn’t jive with creating useful and creative content. Is this a recognizable, reliable site? Is it a fastcompany.com or a smallbusinisessquotesinvermont.com? Filter out anything that sounds spammy or lead-generation focused. Is the domain a trusted publication? Look for publications and brand blogs that are resourceful and provide a value-add to readers. Skip anything overly promotional. For brand content done well, check out the American Express Small Business OPEN Forum and the REI Expert Advice guides. Check for reliable domains. Additionally, “news” results are usually great sources. The publish date of an article dictates its usefulness more than the actual quality. Things change. And in the world of content marketing, things are always changing. Take this topic: “Is SEO Dead?” It’s been done so much, you can find posts dating back to 2008 (and before that). Some of these are insightful posts, whereas others are the result of a brain-dead or lackadaisical editorial team. Either way, even the post from April of this year probably has some outdated information. Look for fresh takes on an idea. 05/20/2009 – R.I.P: Search Engine Optimization is Dead! 09/13/20120 – The Impact of Google Instant on SEO and PPC: Is SEO Dead? 03/07/2011 – SEO is Dead. Again. 11/13/2013 – Is SEO Dead? 07/14/14 – Is SEO Dead? 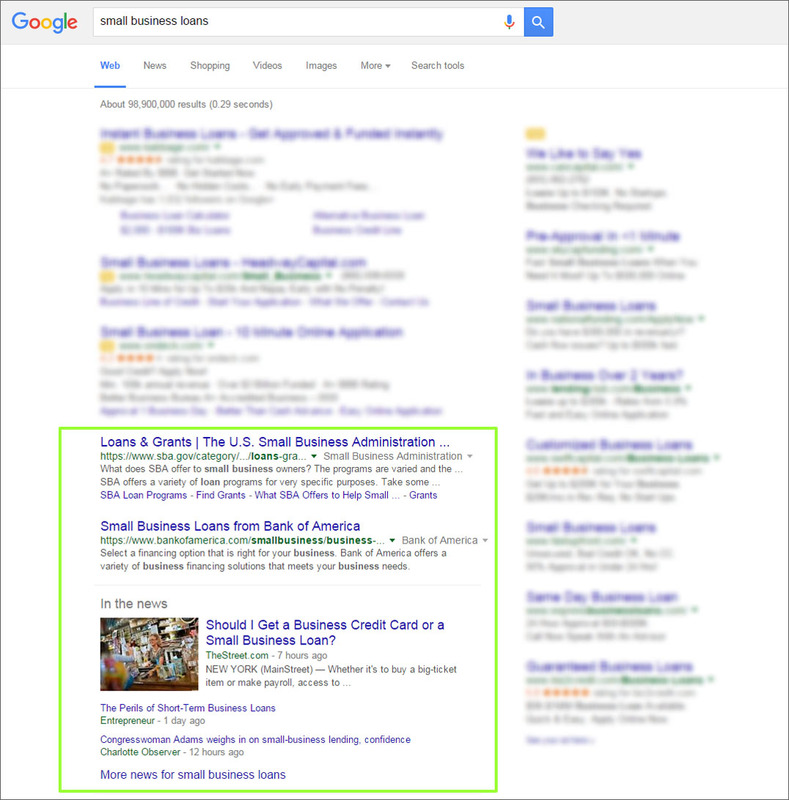 It’s easy to filter out old results on a SERP. Use the Search Tools drop-down and filter for a desired time range. I often say if creating content were easy, clients would be doing it themselves. Revolutionary products and tech innovations such as Liquiglide lend themselves to content campaigns. The real skill involves creating compelling content for boring clients. Here’s an exercise to see everything put into practice. First, you need to know what the heck dumpsters are used for and by whom. Let’s cut out the…trash (Sorry, Sara). 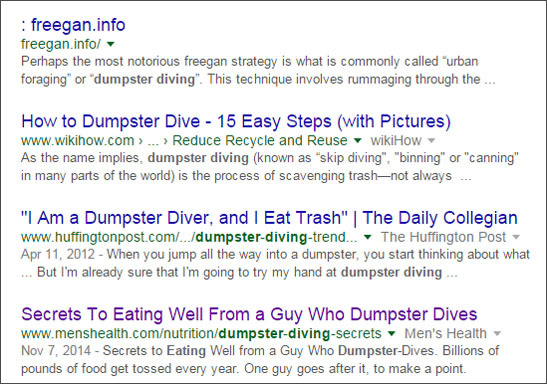 Two searches in and we’ve already hit something interesting: “Man eats out of dumpsters for a cause.” Build off that with simple “dumpster eating” and “dumpster living” searches and the story continues. Now you’ve found the Dumpster Project, learned about Freeganism and read Secrets to Eating Well from a Guy Who Dumpster-Dives. Let’s turn that theme into content ideas. Granted, these ideas do not lend themselves to direct dumpster rentals. But does anything? If you think promotional content and blatant CTAs are effective, think about Red Bull. Their content initiatives rarely mention their energy drink, yet they claimed 43 percent of the total market share in 2014, and Mashable called them “a publishing empire that also happens to sell a beverage.” If people are considering a dumpster rental, they probably won’t know any company names, but they just might remember that interesting piece of content they consumed. Now if you’ll excuse me, I have some Googling to do.